This device allows to manage, through the home automation system, both heating and air conditioning ensuring effective energy savings. 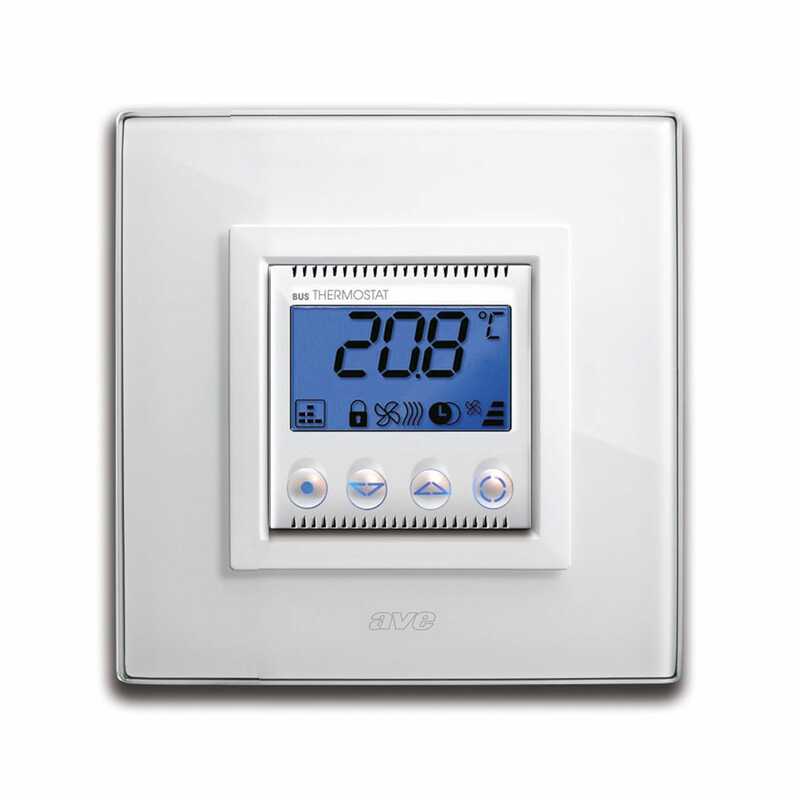 Through the use of alarm interfaces or exploiting the detectors of the anti-intrusion system supervised by the Touch Screen or the Web Server, this thermostat is able to detect the presence of any opened doors or thus avoiding energy waste. building automation system touch screen / built-in DOMINA PLUS 15"
building automation system touch screen / built-in DOMINA PLUS 12"
building automation system touch screen / built-in DOMINA PLUS 5.7"
home automation system touch screen / built-in DOMINA PLUS 4.3"